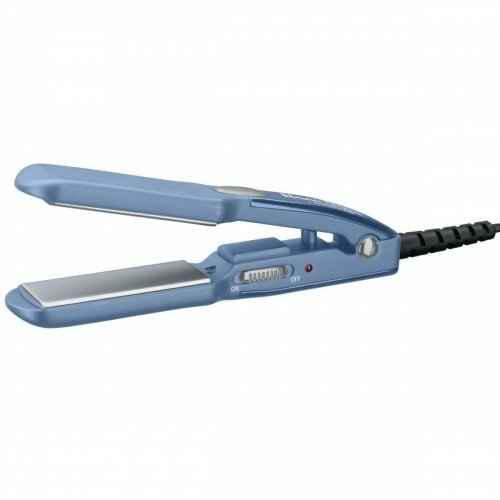 CONAIR BABNT3072T HAIR STRAIGHTENER IRON ULTRA SLIM Product Features ��������� Ultra Thin ��������� Nano Titanium Plates ��������� Straighten or Curl �. 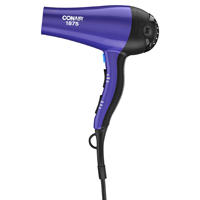 CONAIR BABNT2091T HAIR STRAIGHTENING IRON 1 1/4INCH Product Description � Nano Titanium Technology yields Maximum Far-infrared Heat Ryton Housing resists High Heat Glides through Hair with No Pulling Straightens Hair 40% Faster LED temperature settings up to 450� �. 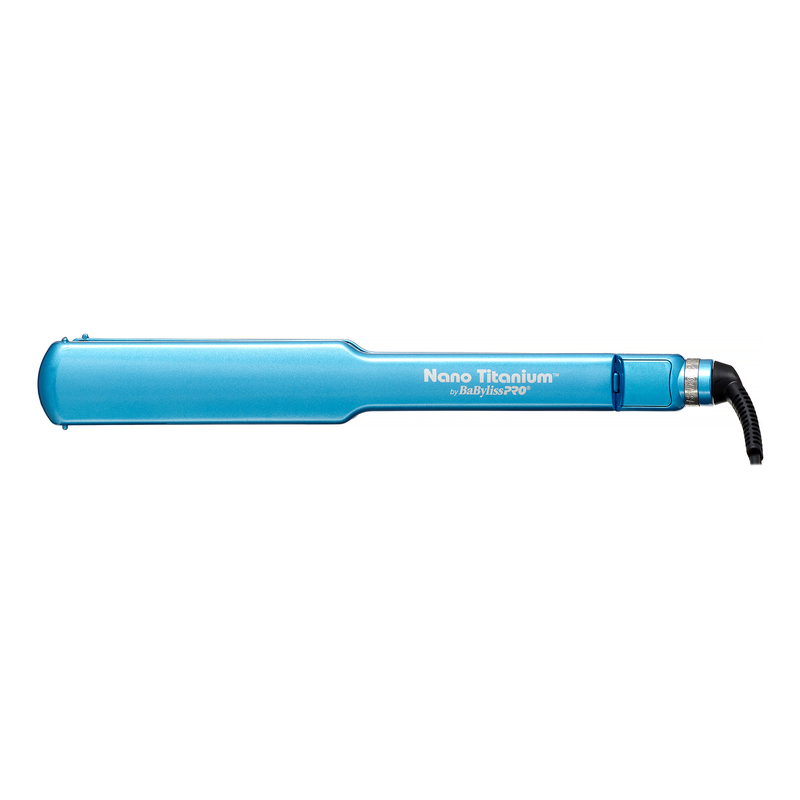 BaBylissPro™ Nano�Titanium™ 1-3/4""�Titanium-Plated Straightening Iron BABNT2094T Description Ionic technology is perfectly paired with the benefits of pure titanium-plated plates for the smoothest, sleekest styles ever! 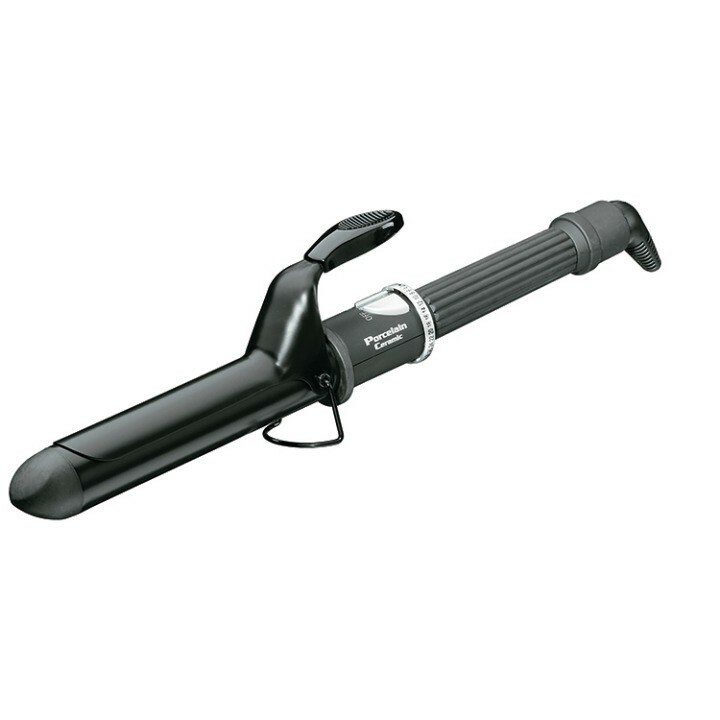 Natural ions reduce frizz while the stay-cool Ryton� housing resists the ultra-high heat for comfortable handling. The ceramic heater produces instant heat, up to 450�F, and fast heat recovery for styling efficiency with no damaging hot spots. Available in 1-1/4"" and 1-3/4"" plates. Remington S9500PP Pearl Pro 1" Straightener in Black with White edge has Pearl Ceramic Plates for a smooth glide technology 1" Ceramic plates provide even ionic heat to reduce frizz & damage 450 degree F Digital salon high heat 30 second heat-up time Digital Display/Controls with turbo boost to the highest temperature Floating Plate for constant contact and faster styling Temperature control lock and Auto Shutoff. This item cannot be shipped to APO/FPO addresses. Please accept our apologies. BaBylissPro™Nano Titanium™ 1-1/2"" C Styler BABNTC3556T Description Smooth curls, waves, flips and more are at your fingertips with C Styler! Lift for volume, bend or flip at different angles to create desired styles or wrap hair around the housing to creative curves or large waves. 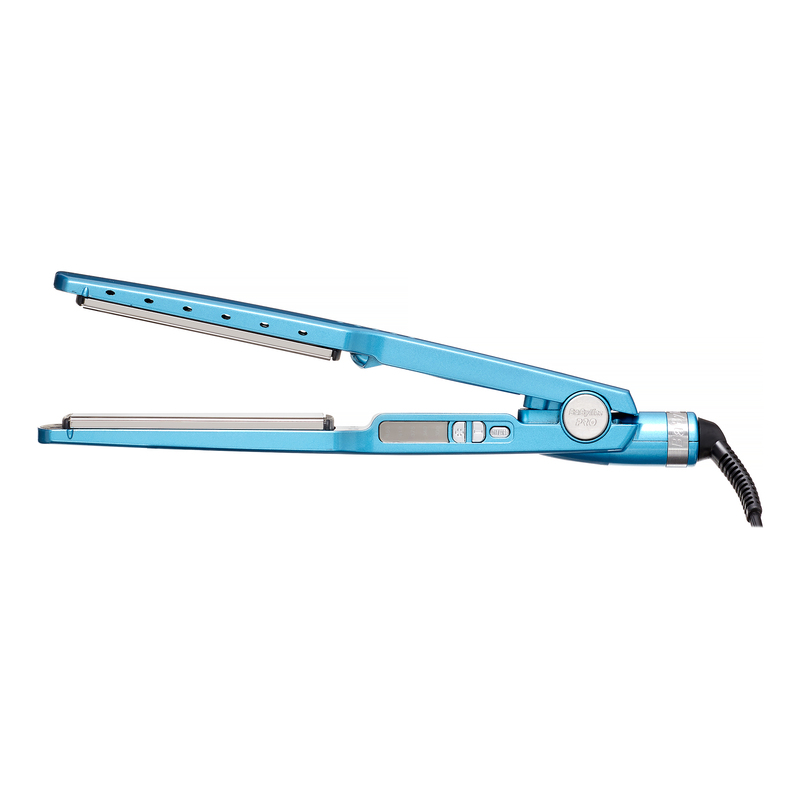 The extra-long, ultra-smooth 5"" titanium plates with instant heat-up & recovery, up to 450�F, make sure the tool works for any type or length of hair, plus the stay-cool Ryton� housing and slim design provide versatile, comfortable styling. 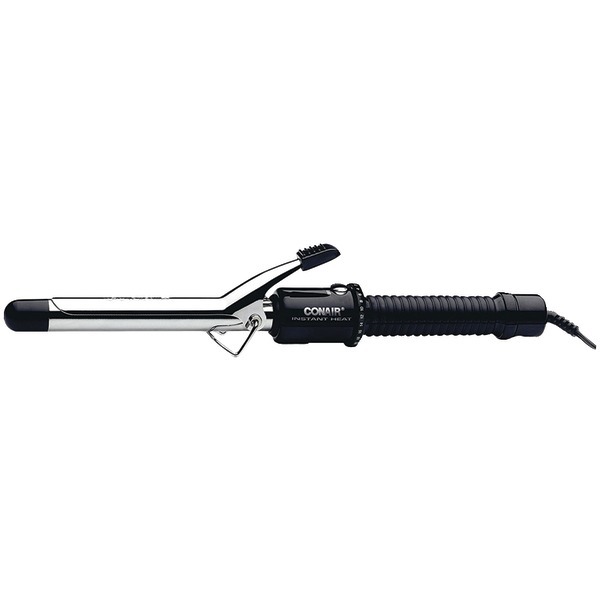 BABNT2071 BaByliss�PRO Nano�Titanium™ 1""�U�Styler PRODUCT OVERVIEW Straighten, wave and curl, all with the same tool. 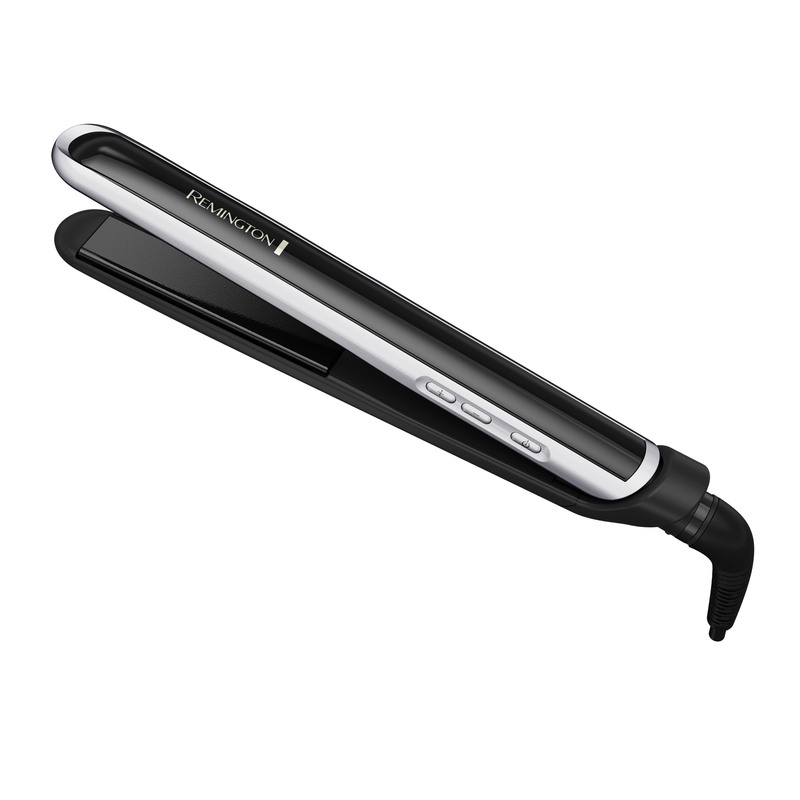 The U�Styler features curved side plates that�create perfect curls with one smooth flip, while Sol-Gel technology creates stronger plates and a smoother glide. The ceramic heater provides instant heat-up, with steady heat up to 450�F. Heat-resistant Ryton� housing, a rubberized thumbrest and cool tip maximize stylist comfort. FEATURES AND BENEFITS Sol-Gel nano titanium/ceramic plates for smoother glide Side heating plates create body and curl 3 heat settings – 340�F, 400�F, 450�F Ceramic heater instant heat & recovery Rubberized thumb rest, cool tip and handle for maximum comfort Ryton� housing resists ultra-high heat . 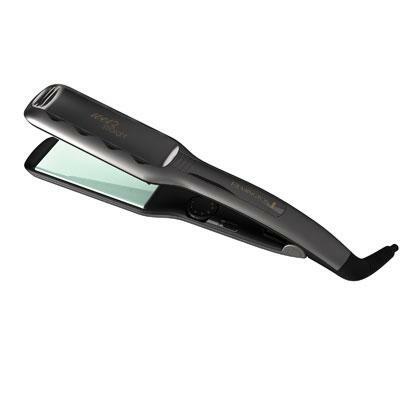 BaBylissPro™ Nano�Nano�Titanium™ 1""�Mini Straightening Iron BABNT3053 FEATURES Nano titanium/ceramic plates Fast heat-up – up to 440�F Get close to scalp 6"" length – excellent for travel and purse Dual voltage for worldwide use . 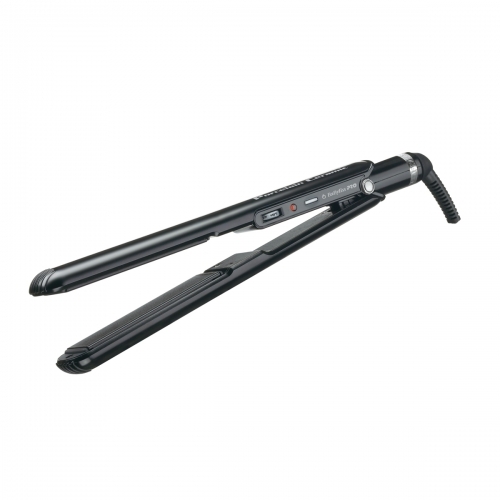 CONAIR BABYLISS FLAT IRON WET TO DRY 1 3/8"� PCCA124 The BaBylissPRO� Avanti Titanium Wet to Dry Flat Iron allows you to dry and style in one step. 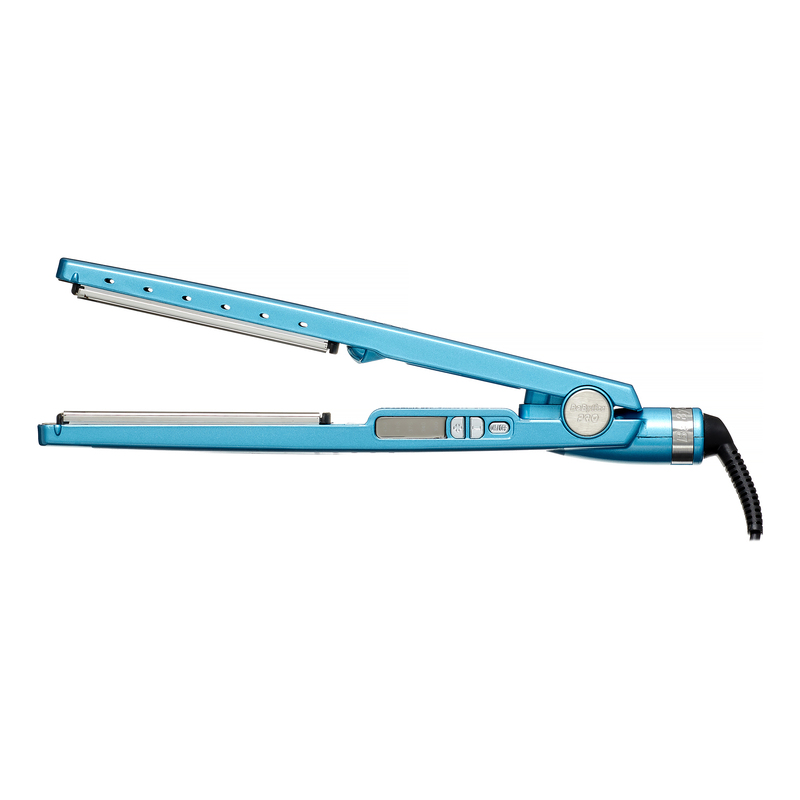 Consistent heat, up to 450�F, ergonomic design, and light weight let you straighten all texture and length comfortably and fast. FEATURES AND BENEFITS Titanium floating plates for smooth glide and effective styling Instant heat-up & recovery Digital temperature control, up to 450�F Anti-snag plate corner guard 8.
swivel power cord For Damp and Dry Hair Dry and straighten, reduce drying time Preserve natural oil in the hair Lock-in styles for long-lasting results Ideal for people with frizzy and�lots of hair . 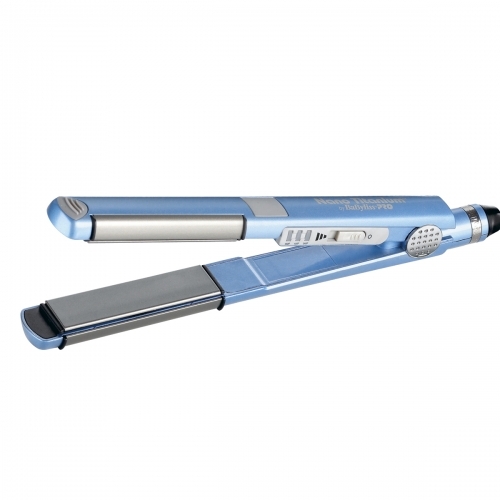 CONAIR STRAIGHTENER STYLER� BLUE� PCCA5073 This iron lets you create ultra-shiny pin-straight styles with just one pass - even on damp hair- The smooth titanium plates glide over hair releasing the steam generated by damp hair through the vents in the plates and housing- Advanced titanium plating technology makes styles last longer while the iron's ultra-slim and lightweight styling maximize stylist comfort and control- Ultra-smooth titanium plates conduct ultra-high heat and resist corrosion- For wet (damp) to dry hair- Slim design and ultra-lightweight for maximum comfort- 5'' extended plate for faster straightening- 50 heat settings - up to 450�F. 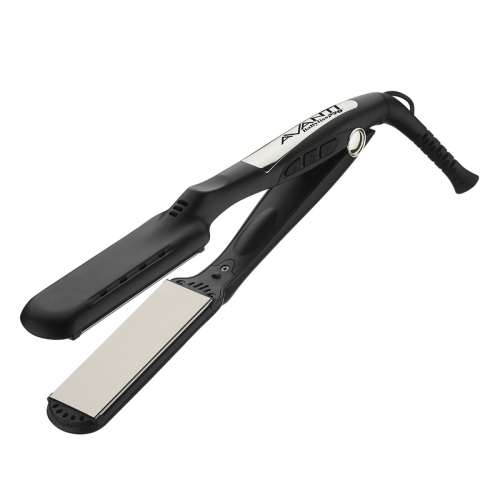 Andis 67410 1" Curved Edge Professional Heat Flat Iron - Maximum heat up to 450 F for long-lasting styles; Curved plates straighten without leaving dents or lines in the hair; Perfect for creating smooth curls waves flips and volume; Tourmaline crystals crushed from precious gemstones emits negative ions that quickly seal the cuticle layer and eliminate frizz for smoother silkier hair; Nano-ceramic creates an ultra-smooth finish and even-heat which preserves natural oils and seal the hair cuticle for improved moisture retention- the result is increased luster and shine; 20 variable heat settings for all hair types; Worldwide dual voltage; Fast 30 second heat up; Tangle-free swivel cord; Closing lock; Auto shut off. This item cannot be shipped to APO/FPO addresses. Please accept our apologies. 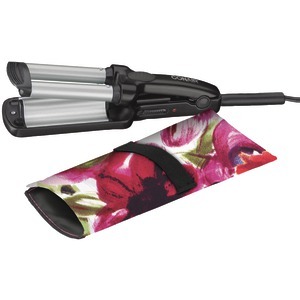 BaBylissPro™ Nano Titanium™ 1-1/2"" Curling Iron BABNT150S For the waves of the future, choose Nano Titanium! These irons are engineered with advanced technology to create textured curls and waves, nano titanium is an exceptional conductor of heat and maintains stability in ultra high temperatures. Available in 3/4"", 1"", 1-1/4"" and 1-1/2"". Sol-Gel nano titanium/ceramic barrel 50 heat settings – up to 450�F Turbo Heat button instantly boosts heat 8- foot tangle free sviwel cord. 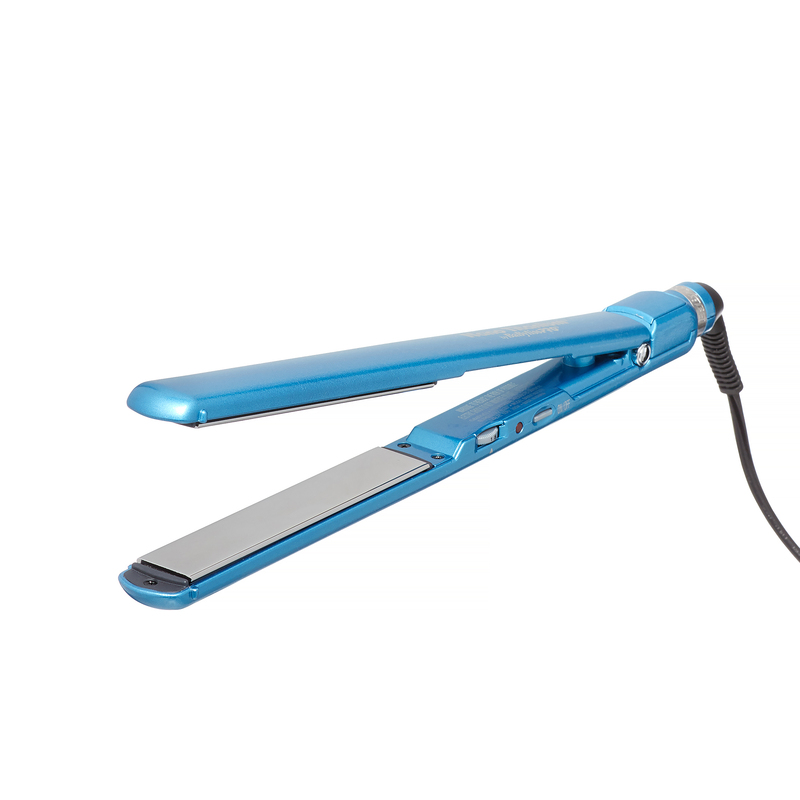 Powerful ceramic heater for uniform temperature levels; Ultrahigh heat levels up to 395�F; LED variable setting display; 30-sec instant heat up; Auto shutoff; Extra-long professional length cord; Protective heat shield; 1 1/2"
PRO BEAUTY TOOLS 1” Professional� Ceramic�Shine� Digital Straightener� MODEL: PBST2919 Straighten, Add Shine & Eliminate Frizz in One Pass Shine Enhancing Ceramic Plates Smooth glide for all day shine 30-Second Fast Heat Up High Heat up to 450� High heat stays hot Rapid Heat Recovery Advanced Digital Display Multiple settings for all hair types Audible Beep Indicator 60 Minute Auto Shut -off Locking Switch Worldwide Dual Voltage Professional 8ft Swivel Cord 3-Year Limited Warranty . CONAIR BABNT3050 HAIR STRAIGHTENER 110 220V TRAVEL SIZE � The Babyliss Pro Nano Titanium Mini 1/2 inch Flat Iron delivers state-of-the-art performance with less stress and damage to the hair. How? Through innovative Nano Technology that combines the high heat conductivity of Titanium with the heat-resistant properties of Ryton. Nano Titanium plates with Advanced Surround Heat will straighten your hair 40% faster, eliminating the breakage and damage multiple passes can cause. Additional features include a digital ionic LED temperature setting up to 430 degrees F, dual voltage so you can take it wherever you go, and a lightweight body and a slim design at only 6 inches long. 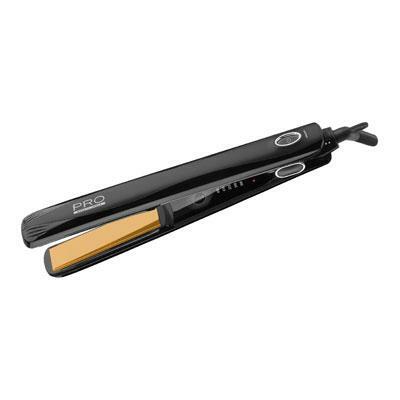 This professional mini flat iron combines the smoothest straightening properties available with the latest technology around and if you're looking for the next new must-have, this hi-tech appliance it on the top of the list! Product Benefits: � �1/2"" Nano Titanium Plates Take it anywhere, perfect for travel and your purse Gets close to the scalp Only 6 inches in length Dual Voltage for Worldwide Travel Recessed LED electronic temperature controls with temperature settings up to 430 F Slim, ergonomic design 4 Year Limited Warranty from manufacturer Model BABNT3050 Titanium: Provides superior heat conductivity, exceptionally resistant to chemical corrosion, as strong as steel with only 60% of its density, the smoothest surface available in styling tools Maximum amount of far infrared heat to penetrate hair from within and straighten without damaging the hair Ionic Technology to smooth the hair's cuticle, sealing in moisture and shine Ryton Housing - outer casing withstands excessive heat Nano Technology - Existing materials are reduced in size, enhancing their natural properties for maximum efficiency � �. 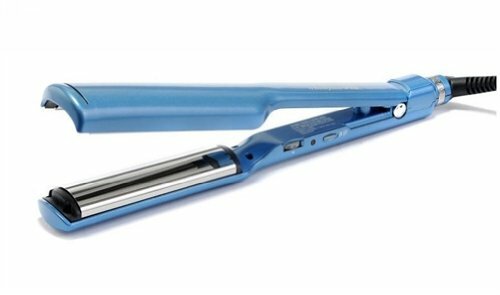 BaBylissPro™ Porcelain Ceramic™ 1-1/2"" Straightening Iron BABP9559 Description The Porcelain Ceramic™ technology in our straightening irons distributes even heat across the plates and generates far-infrared heat, a more efficient heating method which is gentler to hair. Rheostatic dials let you select desired temperatures up to 450�F and the ceramic heater provides instant heat-up and recovery, while the longer plates allow you to work faster with wider sections. The result is smooth, sleek and healthy-looking hair!� Available in 1”, 1-1/2” and 2” plates. 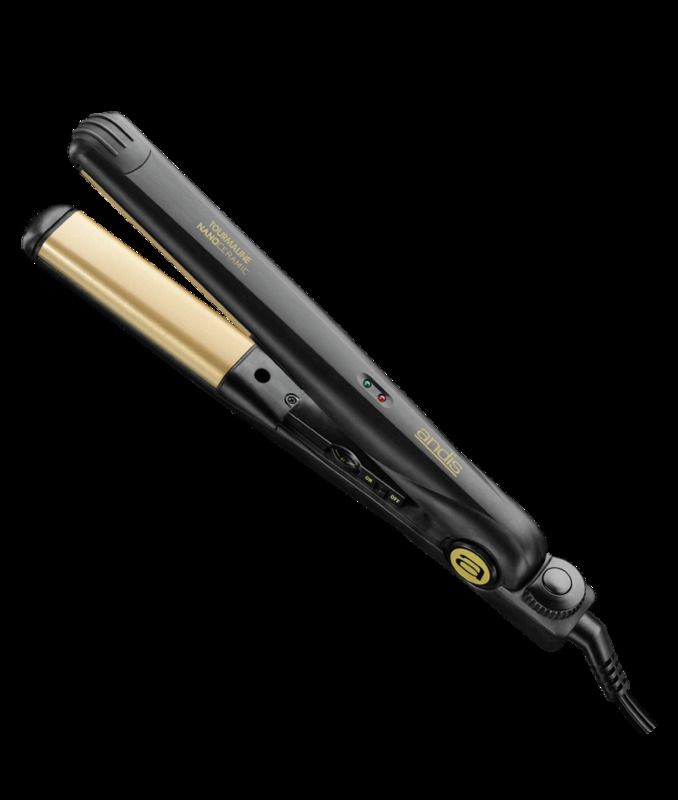 BaByliss�PRO Porcelain Ceramic™ 1"" Straightening Iron BABP9557 Product Overview The Porcelain Ceramic™ technology in our straightening irons distributes even heat across the plates and generates far-infrared heat, a more efficient heating method which is gentler to hair. The result is smooth, sleek and healthy-looking hair! Available in 1”, 1-1/2” and 2” plates. 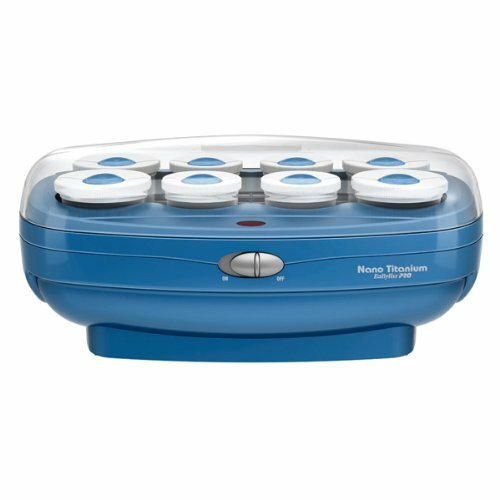 Features and Benefits Porcelain Ceramic™ plate technology Rheostat temperature dial – up to 450�F Ceramic heater instant heat-up and recovery Longer plates straighten more hair faster . CHV27RX Updated model Infiniti Pro Instant Heat Ceramic Flocked Rollers with 4 roller sizes (jumbo large medium and small) 20 easy-to-use Super Clips 85-second heat-up Bonus: One 'n Only Argan Oil treatment 0.25 fl. oz. included! One 'n Only Argan Oil treatment helps protect revitalize and nourish hair. This item cannot be shipped to APO/FPO addresses. Please accept our apologies. 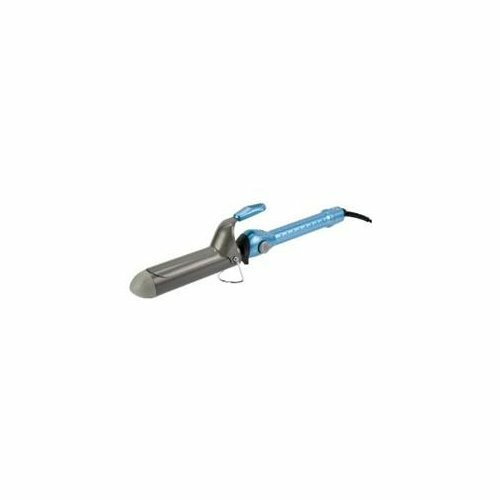 CONAIR 1 1/4"" BABYLISS PRO NANO TITANIUM� BLUE� PCCA2191 . 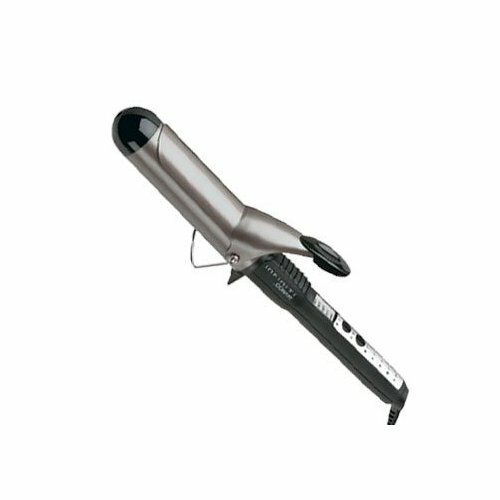 CONAIR 8 ROLLER HAIR SETTER� PCCAHS8 Babyliss Pro Nano Titanium 8 Jumbo Roller Hair Setter BABNTHS8 - Nano Titanium is an exceptional conductor of heat maintains stability in ultra-high temperatures. Heat retention, weight and smoothness help reduce time. 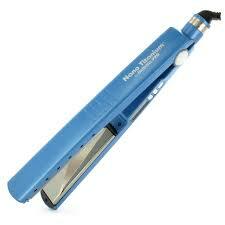 It yields maximum far-infrared, penetrating the hair from within for faster styling with less damage. 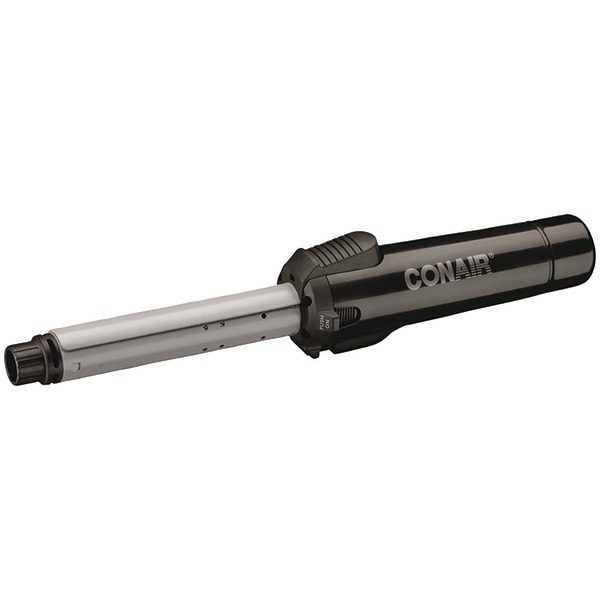 CONAIR 1 1/4" CURLING IRON� BLACK� PCCAP125S Porcelain ceramic has exceptional heat distribution with increased far-infrared heat and ion production that outperforms standard ceramic! Even heat distribution eliminates damaging hot spots, while natural ions reduce static electricity and decrease styling time. The Porcelain Ceramic technology leaves hair healthy, revitalized and shiny!. BaBylissPro™ Porcelain Ceramic™ 1""�Marcel Curling Iron BABP100M FEATURES Porcelain Ceramic™ barrel technology 30 heat settings – up to 430�F 8-ft.
tangle-free swivel cord Limited 3-year warranty . 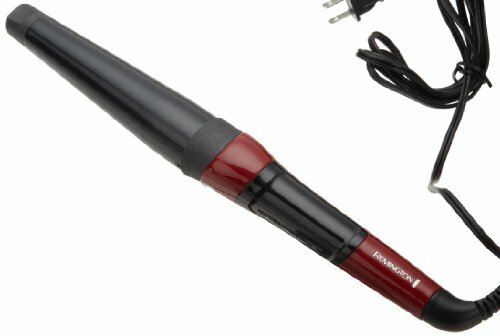 The 1" Conical Wand Curling Iron creates tight long-lasting curls. Tourmaline nano-ceramic technology eliminates frizz for smoother silkier hair. 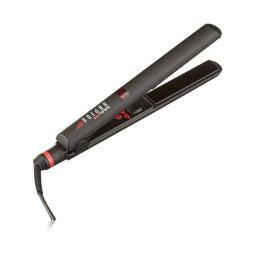 20 variable heat settings with fast 30-second heat-up with maximum heat up to 450 F for long-lasting styles. Dual voltage for worldwide use. Auto shut-off and cool tip for added safety. Tangle-free swivel cord. For use with all hair types. 6' cord. 120/240 V. Black/Gold. This item cannot be shipped to APO/FPO addresses. Please accept our apologies. With Remington's New version part number the S7330A Wet 2 Straight 2" Straightener you can forget the hairdryer and get going in no time. 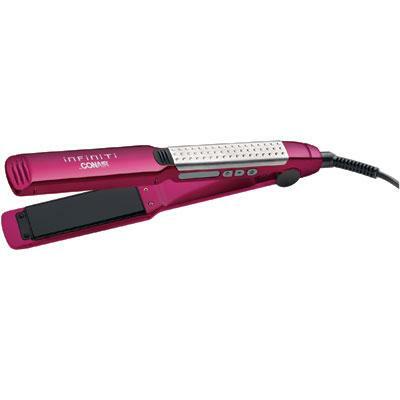 This straightener allows you to straighten whether your hair is wet or dry with 420-degree professional grade heat across ceramic plates with 30 adjustable settings as well as distinctive steam vents that dry and style hair with less damage. This item cannot be shipped to APO/FPO addresses. Please accept our apologies. 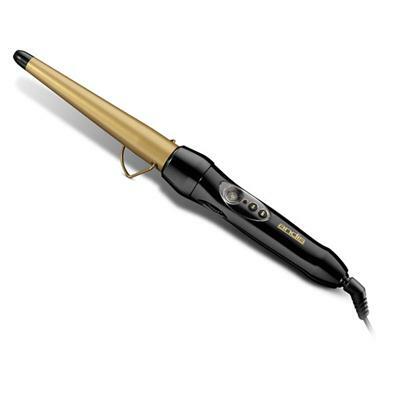 Tstudio Silk Ceramic 1" to 1-1/2" Curling Wand for professional tight and loose curls giving you fast easy wrap & go curls with Silk Ceramic Technology 410 degree F Digital salon high heat Includes heat resistant glove for safe & easy styling 30 second heat-up time 60 minute Auto Shutoff and Digital Display/Controls for precise temperature control. This item cannot be shipped to APO/FPO addresses. Please accept our apologies. For a clean shave and maximum performance every day the maintenance of your shaver is pivotal. We recommend replacing your foils and cutters every 6 months. Replacing your foils and cutters will ensure you get the closest most comfortable shave. 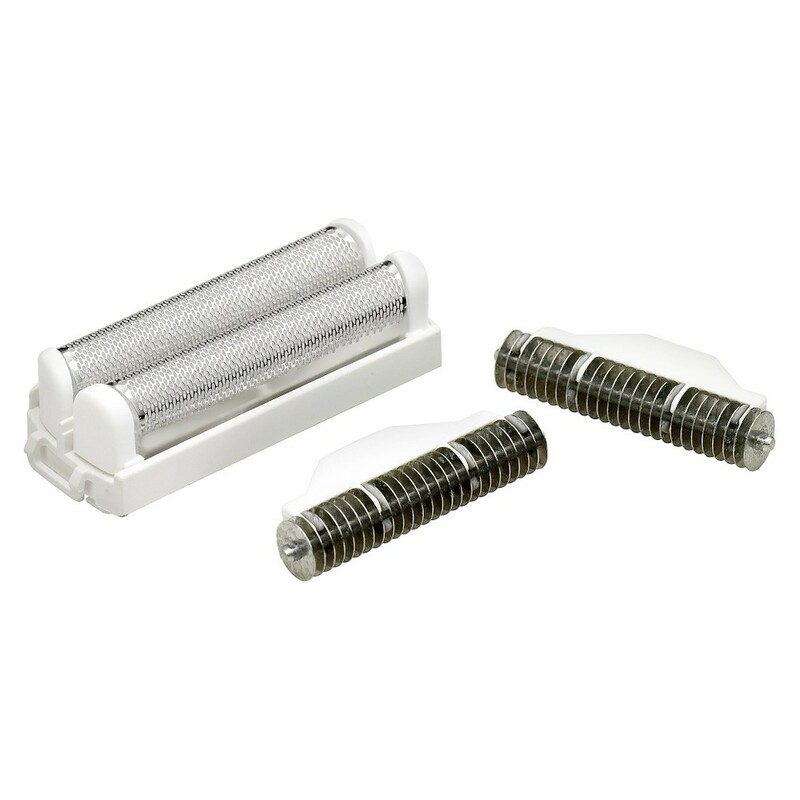 Foil and Cutters for Remington WDF4815 WDF4820 and WDF4830 Shavers. This item cannot be shipped to APO/FPO addresses. Please accept our apologies.